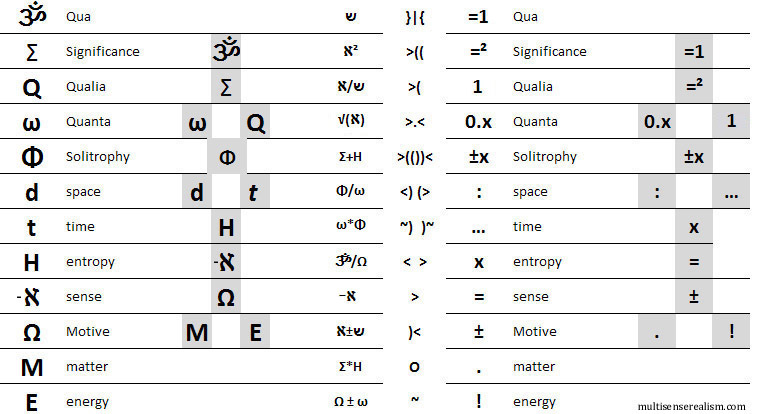 Solitrophy (Solitropy) – Maxwell’s Demon describes a thought experiment of defeating entropy without doing work within a system. Solitrophy is like a meta-Maxwell’s Demon, modulating the extent to which the balance between entropy and negentropy can be influenced. If entropy and significance are the catabolic and anabolic back end of a public presence, then solitrophy is the metabolic front end. Sensible intention capitalizes on both the entropic and the unintentional, so that solitrophy acts as a cosmic escapement mechanism, pushing ever forward, even as locally progressive and regressive fluctuations keep the process from recognizing itself fully from the inside. 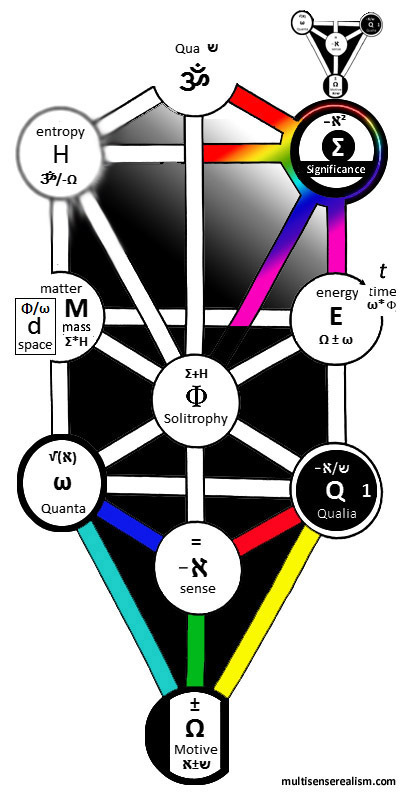 Solitrophy is used in some esoteric diagrams of MSR to stand for the weaver of worlds from the thread of entropy and significance. Solitrophy is the unacknowledged aesthetic aspect of evolution – the proliferation of richer simplicities which belie the purely statistical emergence of complexity.